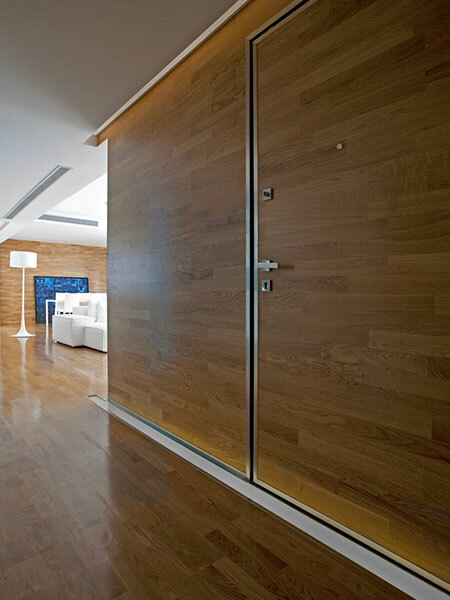 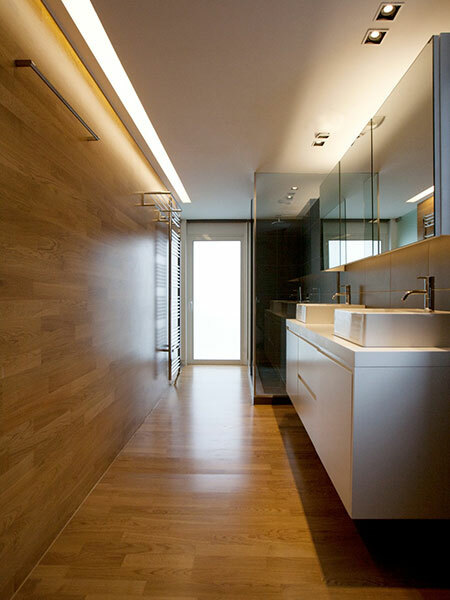 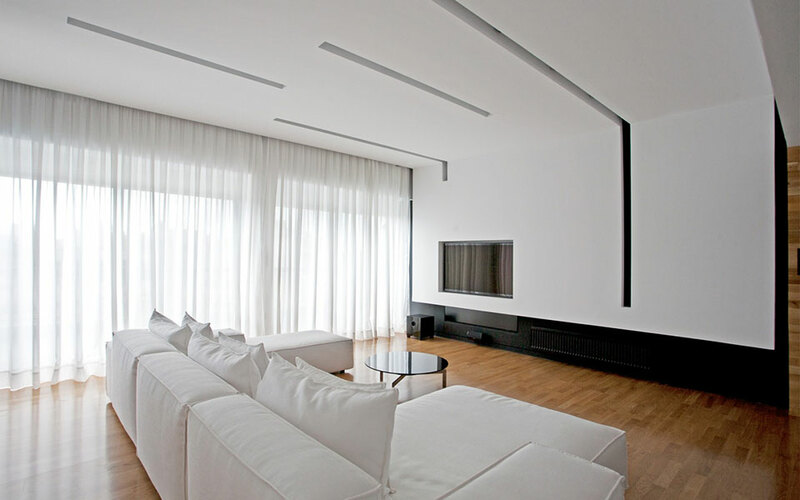 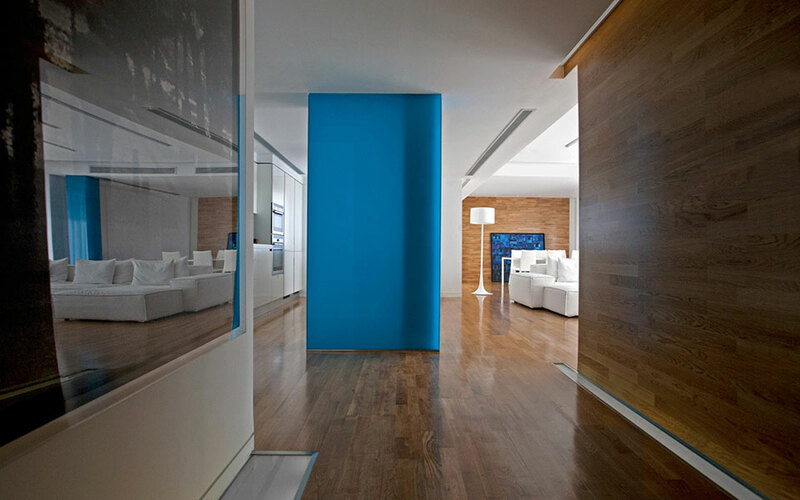 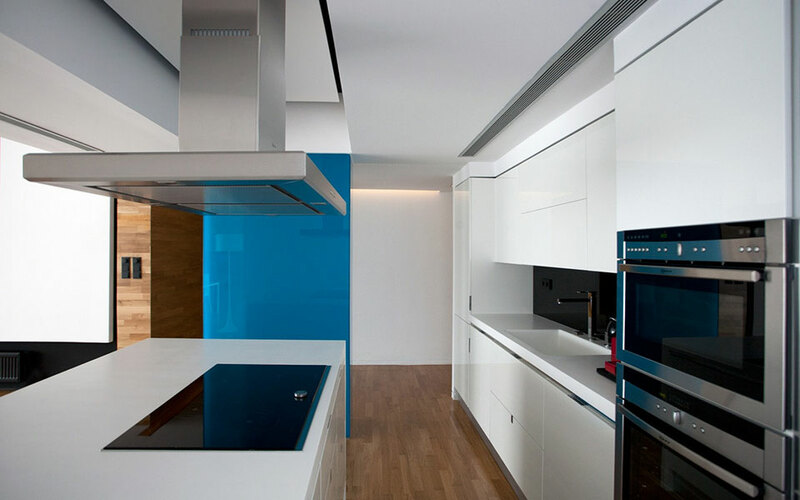 The 185m² apartment is a penthouse in a typical apartment building with views stretching to the Acropolis and the sea. 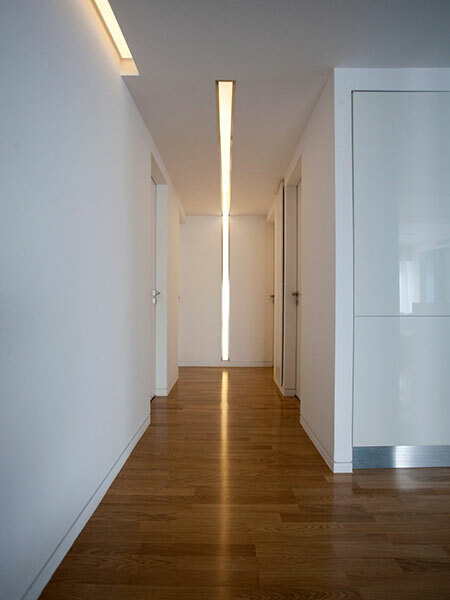 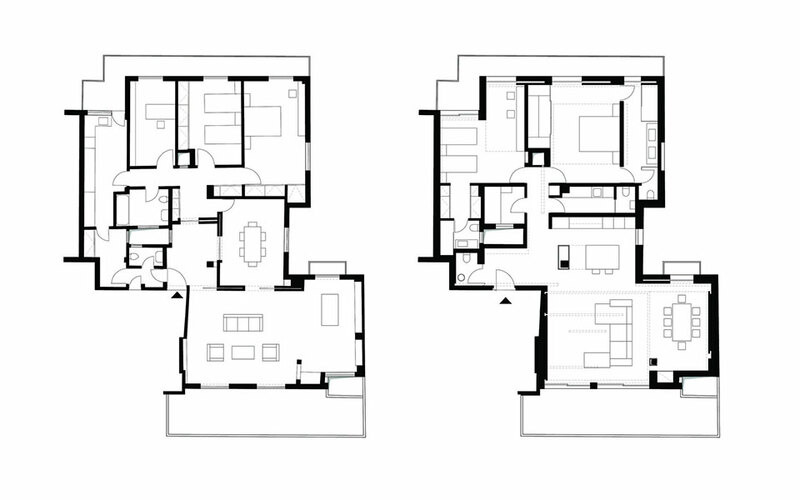 Having two opposite facades and many light shafts, the apartment should have ample cross ventilation and sunlight, if the previous fragmented plan were not suffocating the inhabitants in small rooms and narrow passages blocking the light and air. 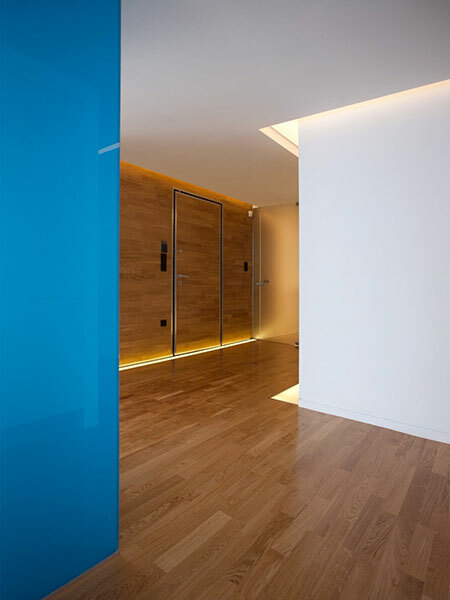 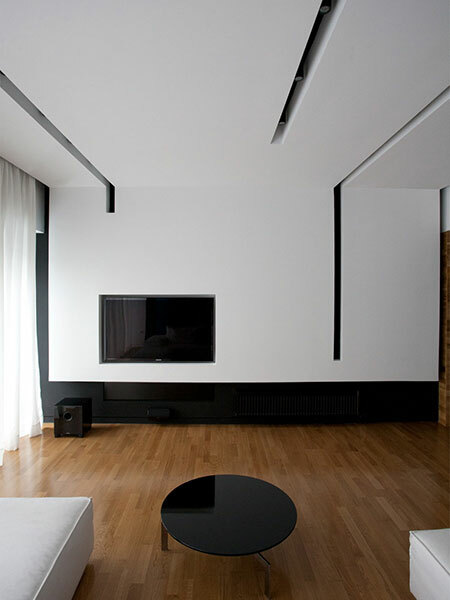 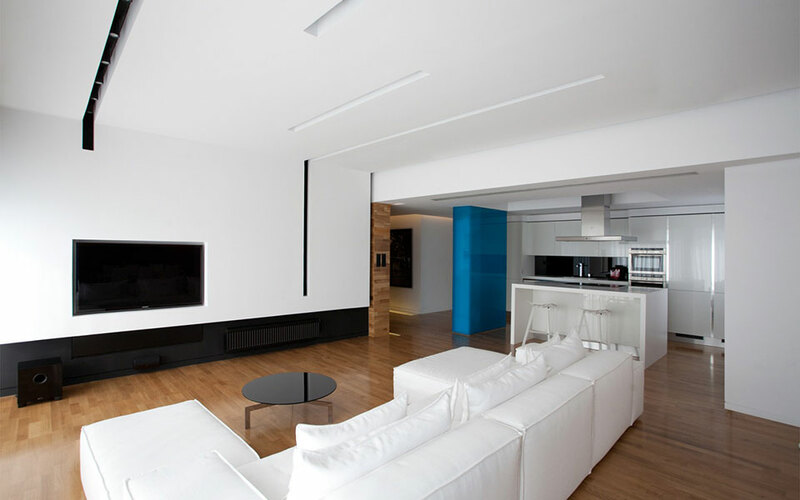 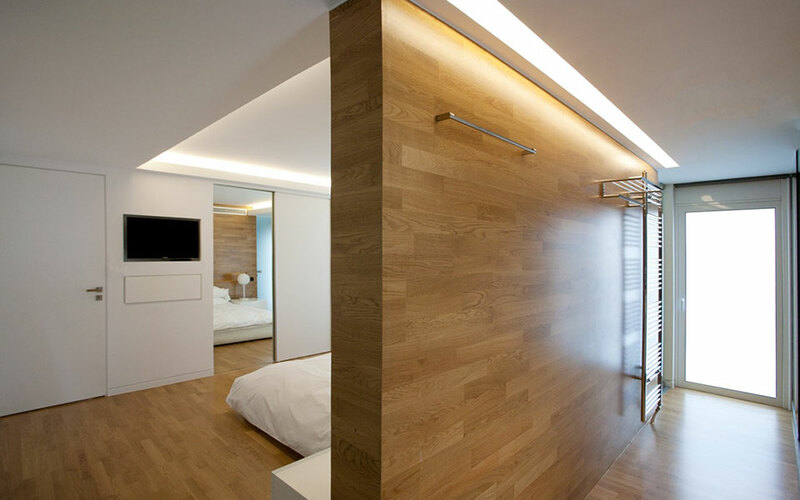 Scapearchitecture’s principal intention in redesigning the apartment was to introduce contemporary architectural qualities, such as openness in plan, structural transparency and fluid configuration of the interior.